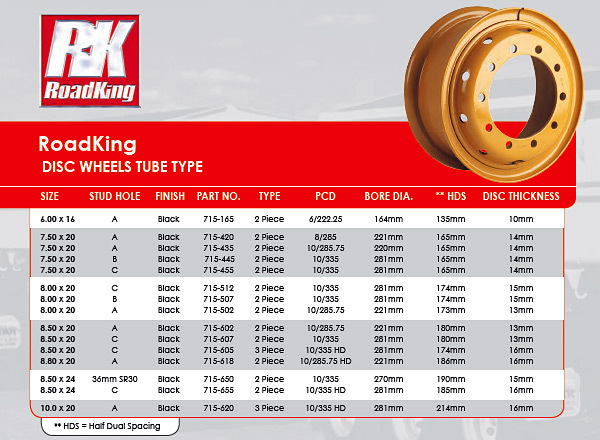 For heavy duty applications, Mullins carry a range of RoadKing heavy duty tube type steel disc wheels. Tube type disc wheels are available in 2-piece configuration in a range of rim widths in 16", 20" & 24" diameter. Mullins tube type steel disc wheels can be made to your specification.